Ismae' s most important assignment takes her straight into the high court of Brittany—where she finds herself woefully under prepared—not only for the deadly games of intrigue and treason, but for the impossible choices she must make. For how can she deliver Death' s vengeance upon a target who, against her will, has stolen her heart? I remember the first time I almost purchased Grave Mercy. It was a fateful spring night and under a facade of calmness, I was trying to decide on a book to purchase from Target’s limited selection of YA lit as the clock clicked closer to closing time. The book I had come for was out of stock, so I scanned the section for something else that looked appealing. I HAD to have a book. Going home empty handed wasn’t an option. The book-monster needed to be fed. 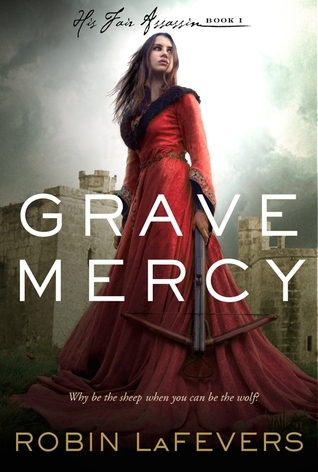 The intimidating tome that was Grave Mercy stared at me from its prominent front-cover display. I read the back quickly and new it was something the historian in me would love, but I just wasn’t in the mood to commit to this brick of a book that I had heard lukewarm things about. So I went for the pretty purple covered one right next to it: Fated. You can see how that little decision turned out right here. 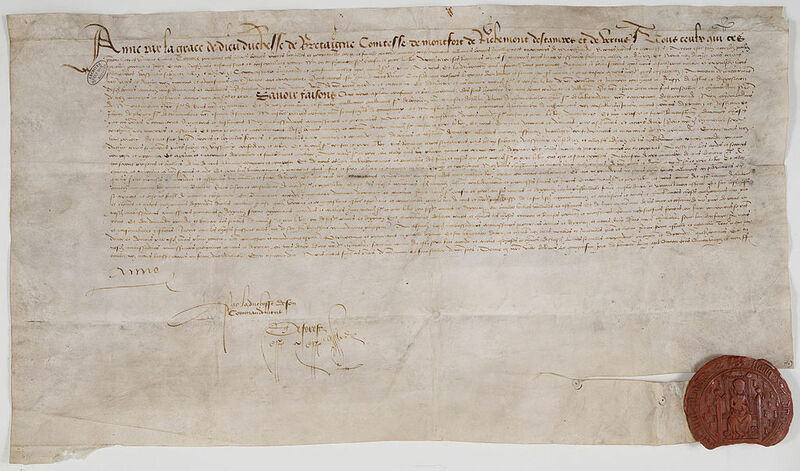 A treaty that causes many problems in Grave Mercy. Over a year later, I finally ended up purchasing Grave Mercy from B&N. When I read the story synopsis again, it was like reading it for the first time. I was so excited to dive into Grave Mercy and I thought to myself, “How the FRIG did I pass this up the first time?!”. I really enjoyed this book. I devoured it, basically. The book-monster was very pleased. Once I read the first few chapters, the girth of the novel didn’t seem so intimidating. 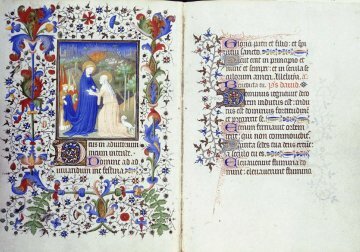 An Illuminated text from 15th Century France. The setting amongst a 15th Century Brittany/France backdrop was absolutely captivating. I have always been intrigued with the Pagan gods and Pagan rituals that were commonplace before Christianity became law in Europe, and LaFevers uses this rich history of Paganism as the backbone of her story. A young Gabrielle Anwar as a plotting Ismae perhaps? The novel is written in first person and we are intimately acquainted with Ismae, the main character, right from the beginning. Her character continually changes throughout the novel and I really enjoyed seeing her evolve and ultimately question everything she believes by the end of the story. Ismae is an extremely likable heroine and was very exciting to live vicariously through. 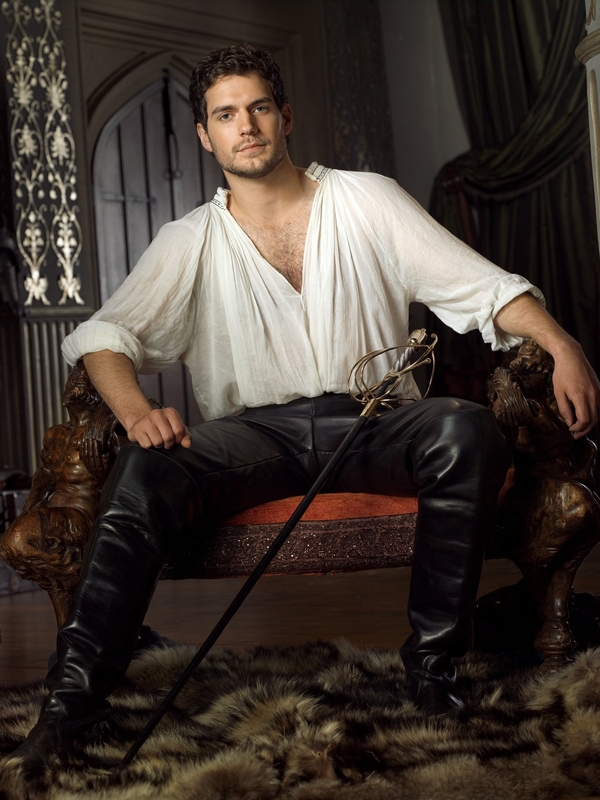 And of course I find it very delightful to imagine Cavill as Duval. And dear Pagan gods of yore, Gavriel Duval- Ismae’s love interest- is the stuff that Disney princes are made of. If Disney made adult fairy tales. Duval is a ruggedly handsome devil with a heart of gold. There is a sarcastic, playful banter that takes place between Ismae and Duval, creating a most intoxicating slow-burn romance. Duval is the PERFECT match to Ismae’s character. He is the trifecta of Charming, Confident, and HOT. I could not get enough of Duval and Ismae together. The cast of supporting characters were interesting in their own right and colorfully depicted. Their story, as well as Ismae’s and Duvals is centered around the time period of Anne of Brittany’s succession, and you can read more about the historical context here. The pacing of the novel was nice and steady. And despite its length, I never felt a lull. I imagine this book to be much like French cuisine is- a perfect blend of all the ingredients that make a book something to be savored and deliciously digested. In this sense, Robin LaFevers is a Master Chef. Fans of Grave Mercy and books like it will also enjoy Rima Jean’s Knight Assassin. You can check out my review and casting of characters for Knight Assassin here.